Like 17b, this challenge is different. 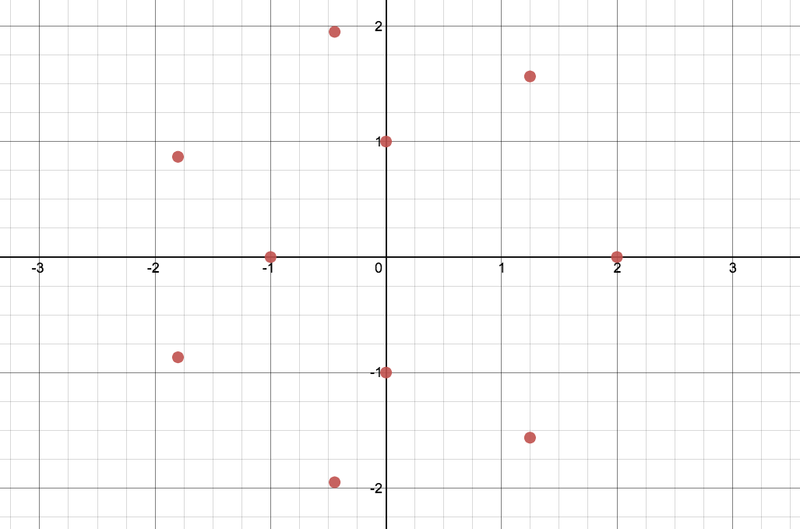 Can you come up with a graph that goes through these ten points using desmos.com or some other graphing tool? Triple bonus: Can you find both a polar and a Cartesian solution? Both a trig and a non-trig solution? A solution that’s non-self-intersecting? One that’s connected? Simply connected? Yup, looks good! FYI, the seven points on the circle of radius 2 are equally spaced. Can you find a solution that’s connected? Simply connected?